Google announced on Google+ they are going to be allowing all Google Glass Explorers to swap out their original Google Glass with an improved version, plus invite three friends to join the Explorer program. The new Google Glass, people are coining it Glass 2.0 is improved hardware. Google said, the "hardware update will allow your Glass to work with future lines of shades and prescription frames, and we’ll also include a mono earbud." I am not sure how different 2.0 is from 1.0, but this is all we know so far. No one has yet received the invitation to swap out their Glass yet. But everyone I know with Google Glass has received the ability to invite up to three friends to get Google Glass. 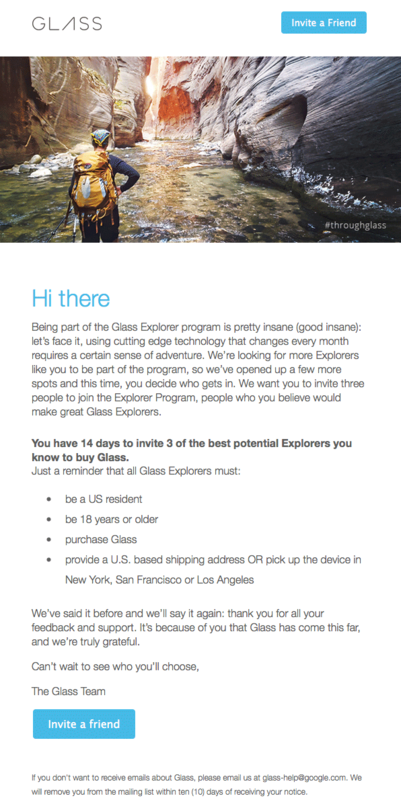 That means, I can invite you to buy Google Glass for $1,500 plus tax. Requirements are the same, you must be US resident, be 18 years or older, be able to purchase Glass and provide a U.S. based shipping address OR pick up the device in New York, San Francisco or Los Angeles. The thing is, many are selling these invites on eBay. Here are some of the listings, I wonder if Google can shut them down or not. That being said, here are pictures of the invites. 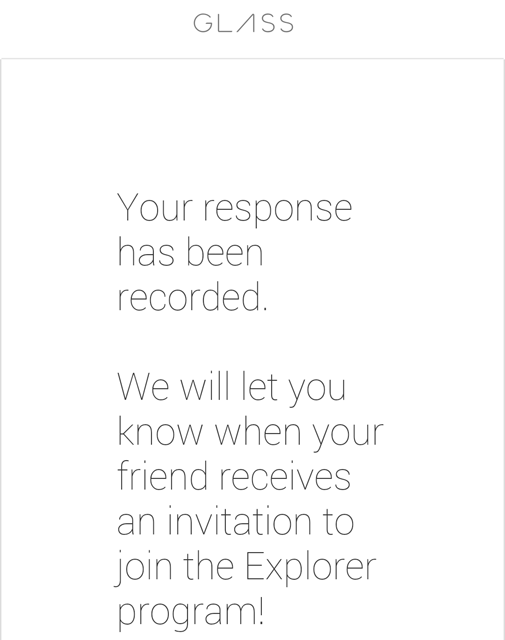 I do not believe anyone got the invite approval from Google yet. I bet that will come when 2.0 swaps begin rolling out. The big question is, who do I invite? I have tons of requests from SEOs but priority include employees, co-workers, clients and friends. 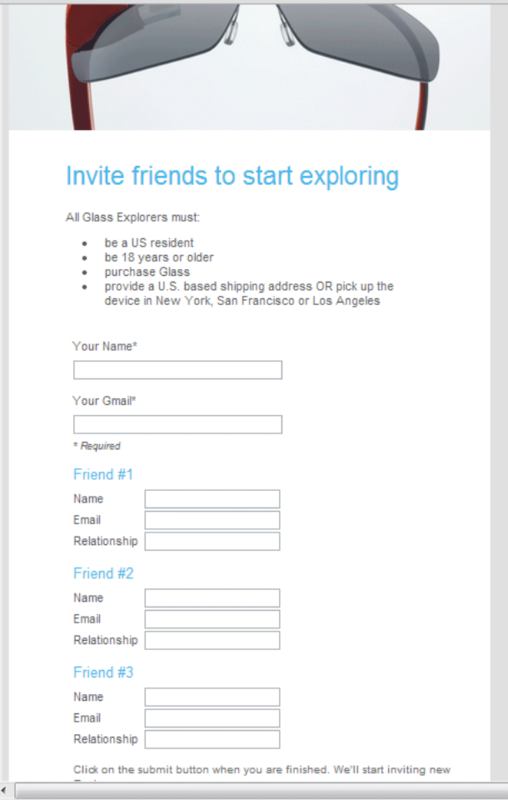 Of course, you can try to buy an invite online on eBay but Explorers are not happy about that.